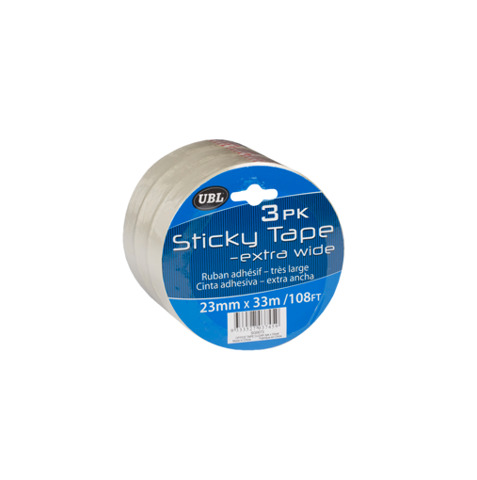 Sticky Tape Extra Wide 33M Roll 3Pk. 23mm Wide x 33mm Long Per Roll. 81mm Diam Core. Clear Tape. 48 Micron Cardboard Core. 125G Packaging: Shrink Wrap with Colour Insert.